I am off to Nepal for the whole of the Easter holidays, crazy I know. I can hardly believe it myself. So, I decided to bake something in the spirit of Easter, which is bound to be celebrated in quite a different fashion in Nepal, if in fact at all. I have no idea! 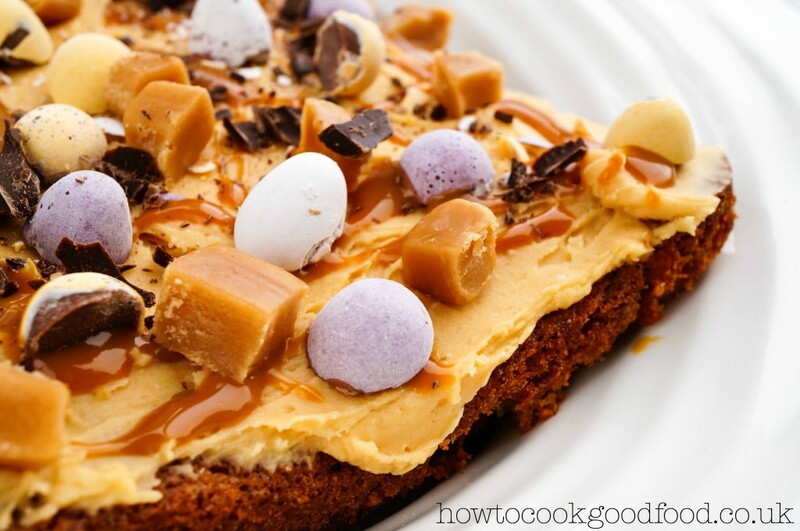 What popped into my thoughts for my Easter bake was the Cadbury’s Caramel Easter bunny……. remember? A carton rabbit with one of those voices that never leave you, quite seductive, smooth and coquettish. 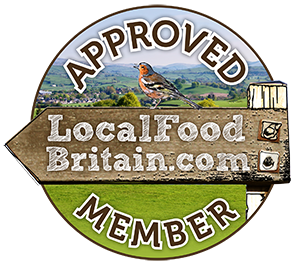 I always wanted to run down to the sweet shop and buy a bar after watching the caramel pouring out of the chocolate in a most satisfying way. 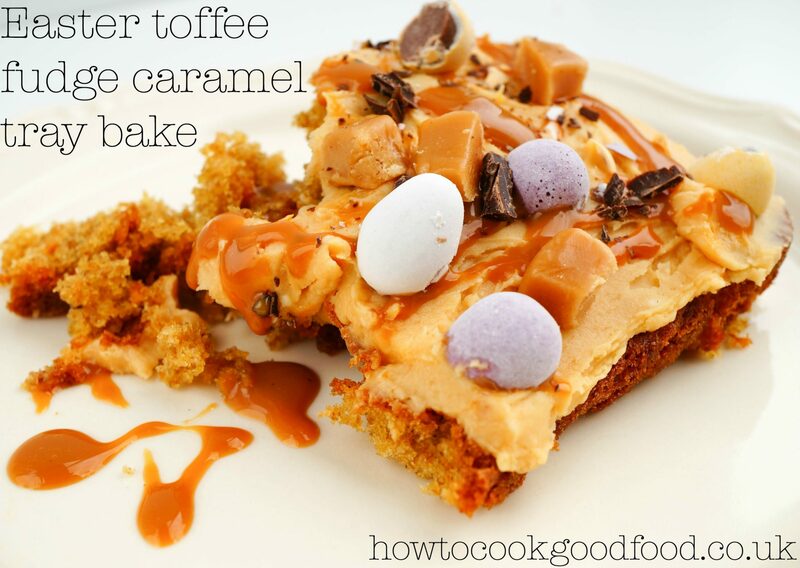 That is how I arrived at my Easter toffee fudge caramel traybake. 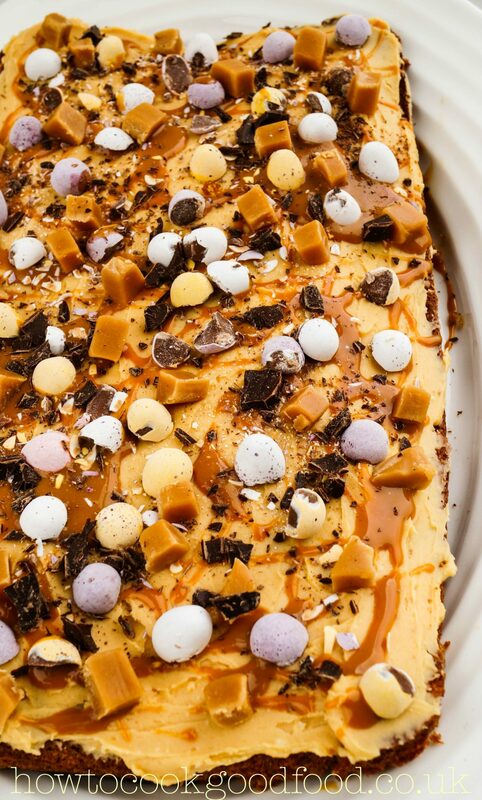 A toffee flavoured sponge spiked with nuggets of fudge. 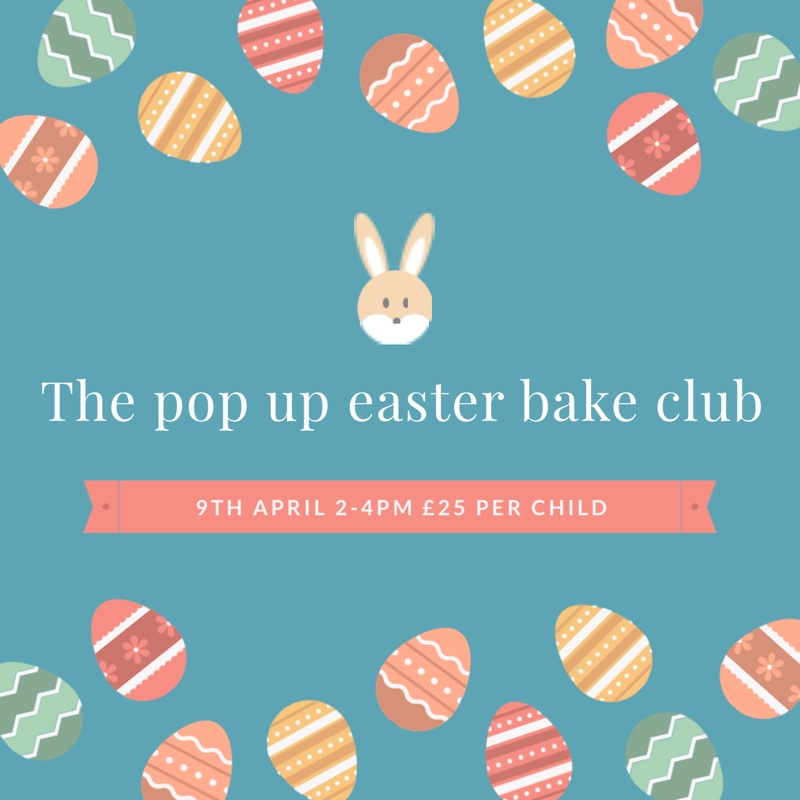 It is gloriously decked with toffee caramel buttercream, smashed mini eggs, chocolate shards, fudge chunks and caramel sauce. It is a cake that is so loaded up with goodies that I defy to you eat more than one slice. This looks like my ideal treat. It looks really easy to make too. Thanks Jan, this cake is only for the sweetest of teeth! Oh my that looks amazing Laura. Will you deliver some? Yummy! Can I have a slice now please? Holy moly – now that’s what I call a loaded tray bake! Sheer decadence 🙂 Have a fabulous trip to Nepal and look forward to hearing all about it on your return. Thanks Jeanne, it has everything but the kitchen sink on this cake!